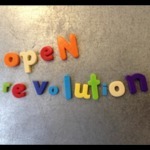 James discusses his recent ODI talk on open data. For more information: horsham.somethingnew.org.uk/ facebook.com/somethingnewhorsham openpolitics.org.uk. CC BY-SA 3.0 for the podcast. Cella One Giga Love (CC SA-BY 3.0) https://soundcloud.com/dtape/cella-one-giga-love.